A new Earth science radar instrument. NASA scientists are working hard to unravel the mysteries of our planet’s ocean surface currents and winds. For this, they also have developed a new technology i.e., a new Earth science radar instrument called DopplerScatt. DopplerScatt is a spinning radar that “pings” the oceans’ surface, enabling it to take estimations from different headings without a moment’s delay. It’s a stage up from past innovation, which could at the same time measure streams from maybe a couple bearings and no more, and couldn’t gauge properties of the ocean surface as totally as this new instrument. Engineers Raquel Rodriguez Monje and Fabien Nicaise discuss placement of the DopplerScatt radar instrument on the NASA B200 before its final installation onto the aircraft’s fuselage. Ocean currents and winds shape a ceaseless feedback loop: winds blow over the oceans’ surface, making currents. During this, the hot or cool water in these currents impacts the wind’s speed. Understanding the ocean-wind interactions is vital to understanding Earth’s evolving atmosphere. Social event information on this connection can likewise enable individuals to track oil slicks, design shipping courses and comprehend sea efficiency in connection to fisheries. The instrument quantifies the Doppler impact of a radar flag ricocheting off a protest. As that question draws nearer or more distant away, it identifies these progressions and makes sense of its speed and direction. Those estimations are joined with information from a scatterometer, which identifies the impression of the radar motion from the sea’s surface. The more “scattering” the radar observes, the rougher the waves. From the harshness and orientation of the waves, wind speed and course can be figured. 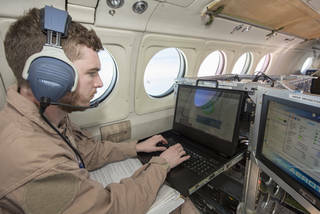 Radar operator Alexander Winteer monitors incoming wind data from the DopplerScatt radar instrument during a science flight off the California Coast on March 5, 2018. NASA has been studying winds for decades using NASA’s NSCAT, QuickScat, and RapidScat instruments. However, DopplerScatt, developed by NASA’s Jet Propulsion Laboratory in Pasadena, California, provides a new capability to measure both winds and currents simultaneously. 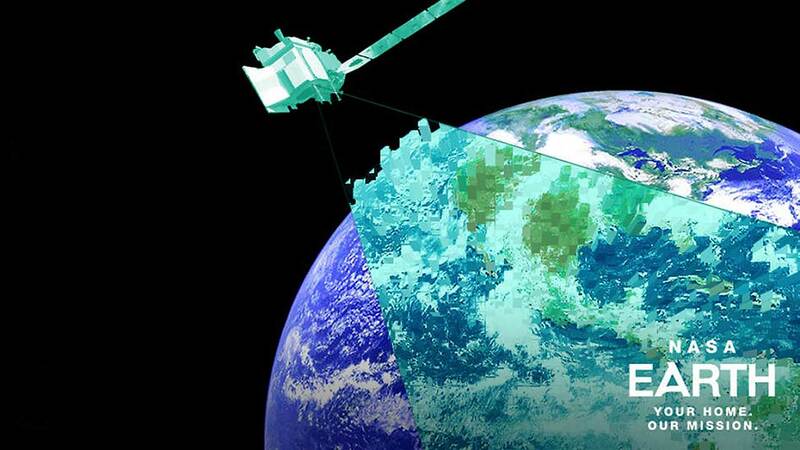 DopplerScatt is funded and managed by the Earth Science Technology Office at NASA Headquarters in Washington D.C. The B200 King Air research aircraft used to fly the instrument is managed and operated from NASA’s Armstrong Flight Research Center located in Edwards, California.